« Last minute gift idea for teachers, mail carriers, barbers, babysitters, anyone! There is so much creativity around me, I had to share this cleverly wrapped gift my sister made recently also. The Rudolph gift bag is a great wrapping idea on its own. Kids of all ages would love receiving this! It is a great option for giving money or gift cards. Or have your kids help make it to give a present to family or friends! All it takes is some basic crafting supplies. Grab a brown lunch bag, some googly eyes, a red pom pom, brown pipe cleaners and you got yourself a Rudolph! Don’t have a red pom pom, a black pom pom would work just as well to make a generic reindeer gift bag. 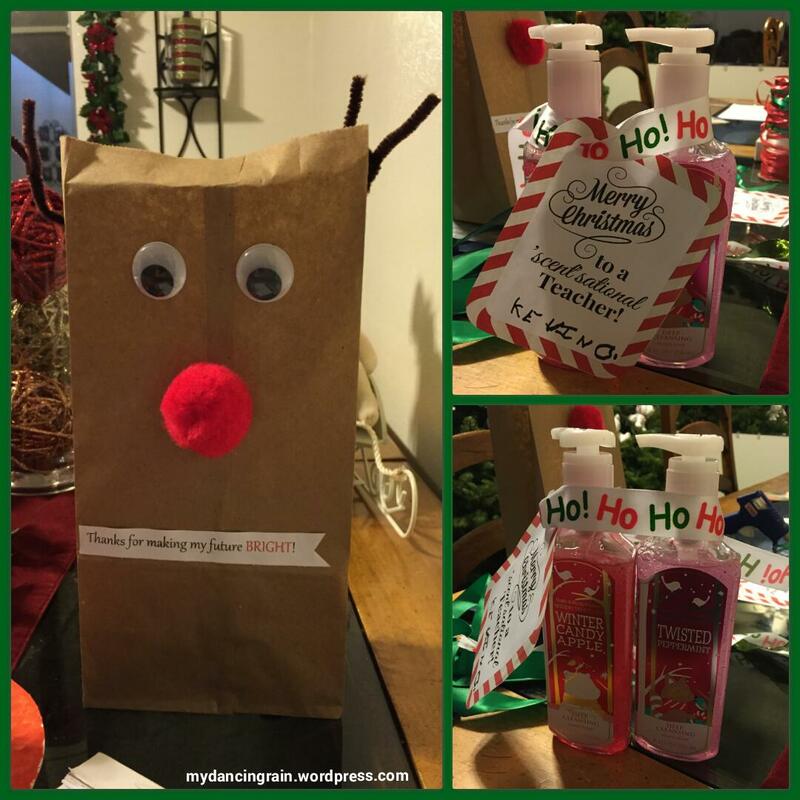 She made this for my nephew’s teacher so she added a printed note to the bag that says, “Thanks for making my future bright!” Inside was holiday-scented handsoap tied with Christmas ribbon and a printed note that my nephew hand signed. I had seen this on Pinterest and am glad to see she made it!